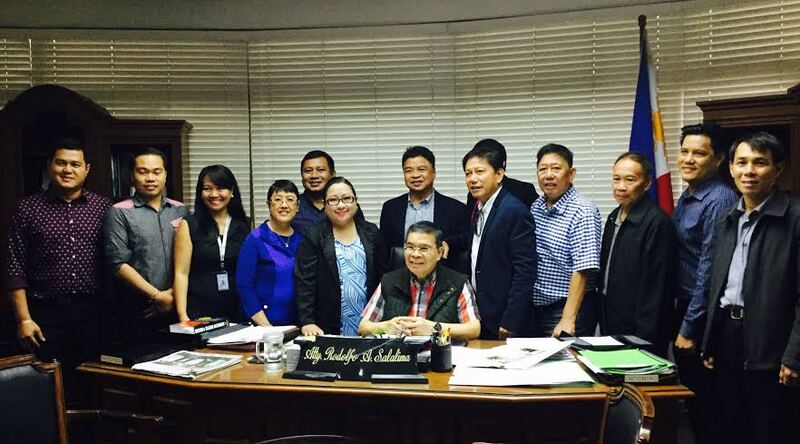 Officials of the National ICT Confederation of the Philippines (NICP) committed to work for at least 1 million direct jobs and 3 million indirect jobs in information and communications technology (ICT) in the countryside by 2022. This number or more translates to approximately half of the ICT industry jobs targeted by the industry under the new administration. The target as well as the strategies were presented by NICP officers led by president Wilfredo Sa-a, Jr. in their courtesy visit to the Department of Information and Communications Technology (DICT) Secretary Rodolfo Salalima today, July 28. Sa-a stressed that 70 percent of the ICT industry today is found only in Metro Manila, and the rest are spread throughout the country with concentration in the urban areas. NICP's direction is to help bring more jobs such that half of industry targets are found in the countryside. Sa-a explains that aside from jobs in the ICT business process management, NICP's thrusts is to create ICT opportunities in tourism, health, agriculture, entrepreneurship and others related sectors. Salalima expressed appreciation for the programs of NICP in the countryside since its inception in 2008 and assured the commitment of his office to promote inclusive growth. He assured NICP that the national broadband plan is not "only going to be about infrastructure, but also many things" including human resource, job generation, and growth of the countryside as he believes that the results and the use of the infrastructure is more important. Former NICP president Jocelle Batapa-Sigue, chair of the annual NICP eGOV Awards presented to Salalima the concept of eGOV which strongly addresses the challenge of President Rodrigo Duterte in his State of the Nation Address (SONA) last July 25. The President challenged all levels of government from the national level, the local government units down to the barangays to use the computer to hasten government processes for the benefit of the public. The eGOV awards which started in 2012 collates and recognizes all LGU best practices in integrating ICT for delivery of public services and improvement of local business ecosystem. One aspect which also caught the attention of Salalima was the program in rural impact sourcing (RIS) which creates a lot of ICT jobs in the rural areas. Johny Paul Lagura, former councilor of Kapatagan, Lanao Del Norte, and RID advocate shared with Salalima the upcoming Philippine Impact Sourcing Conference which is first of its kind in Davao in December this year. Salalima committed to support NICP especially its annual summit which is held for the last eight years, and this year in Leyte and Tacloban City in November, the first national ICT event after the occurrence of Typhoon Yolanda. Salalima is expected to present more details of the National Broadband Plan by that time. Hosting the summit this year is the Eastern Visayas Federation for Information Technology (EVFIT) lead by DOST officials Ed Esperancilla and Glen Ocana. Also joining the courtesy visit and briefing were former NICP presidents Rosemarie Rey, George Sorio and trustees Willy Tanagon, and Raymund Diaz.